RSS and BJP are playing a dangerous game by dragging the Supreme Court into their petty politics. 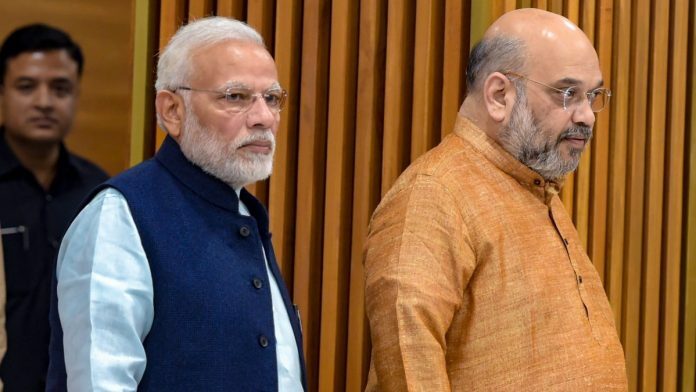 To win the 2019 general election, the BJP and its ideological guru, the Rashtriya Swayamsevak Sangh, have a smart plan in the works – hand every Hindu voter a victim card. The plan is to tell Hindu voters that they have been denied the right to pray at the magnificent Ram Temple in Ayodhya because the Supreme Court of India chose not to accord due priority to decide the Ram Janmabhoomi issue. And for the last four and a half years, India has had a Prime Minister – Narendra Modi – who is fit to apply for a patent on how to play the victim. It doesn’t require the skills of a Sherlock Holmes to figure out the narrative that the Rashtriya Swayamsevak Sangh (RSS) and the BJP are trying to build in the run-up to the 2019 Lok Sabha elections: Hindus in the country want a Ram Mandir, but the Supreme Court is not allowing that. When RSS general secretary Bhaiyyaji Joshi accuses the Supreme Court of “insulting” the Hindus by deferring the hearing on the Ayodhya dispute to January, he is only adding to the narrative. The RSS and the BJP are playing a dangerous game –dragging the top court into their petty politics, and turning Hindus against the court. I would even hazard a guess that in a few days, some top BJP leader may just say at an election rally that along with the Congress and the Muslims, the Supreme Court denied Hindus their right to worship at Ayodhya. Enough hints have been dropped in the recent weeks and pressure has been mounted by the RSS on an ordinance. The demand is that the Narendra Modi government must bring an ordinance to acquire the disputed land for the “public purpose” of building a Ram Mandir. RSS joint general secretary Manmohan Vaidya suggested the same to the Modi government – acquire the disputed land in Ayodhya and hand it over for the construction of Ram Temple. So what if such an ordinance could be bad in law or unconstitutional or that the Supreme Court may stay it. It will only help the BJP get more votes via victimhood of the Hindus. Fearing that it can’t win the next election on just the slogan of “vikas” or “acchhe din” – because of the huge mismatch between the Modi government’s words and actions – the BJP and the RSS seem to have come to the conclusion that only Ram “lalla” can save them. They won’t allow small technicalities like the fact that the sensitive matter is pending in the Supreme Court, or that what the RSS and BJP leaders are seeking may be unconstitutional, come in the way of their ambition to cling on to power. Can the government bring in such a legislation? Yes, absolutely. Constitutionally, there is no bar on the government to bring in a law to deal with matters that are sub judice. Former Supreme Court judge Jasti Chelameswar said so last week while answering questions at a Congress event. The issue is: Will this law be sustainable in the court? The Constitution allows the government to acquire land for “public purpose”. In some cases, acquiring a piece of land around a temple or another place of worship may constitute genuine public purpose. But, will the courts agree that the acquisition of the disputed land in Ayodhya falls in the category of public purpose? While it is a difficult proposition to try and second-guess how a court will decide such a sensitive and politically-loaded case, if one goes by the settled law, the government may end up being on the losing side. What is the existing view of the Supreme Court? On 7 January 1993, weeks after the kar sevaks brought down the disputed Babri Masjid structure at Ayodhya, the P.V. Narasimha Rao government brought a legislation, acquiring 67.703 acres of land in and around the disputed structure. It was called the Acquisition of Certain Area at Ayodhya Ordinance, which was later replaced by the Acquisition of Certain Area at Ayodhya Act, 1993. The acquired area, excluding the land on which the disputed structure stood, was to be given to the two trusts for the construction of a Ram Mandir and a mosque. Following the uproar over the move to acquire the land, the Rao government got the President to make a reference to the Supreme Court to opine if a Hindu temple existed on the site where the disputed structure stood. It also decided that status quo would be maintained till the Supreme Court gave its opinion. Some private parties also joined the case, challenging the law on the grounds of secularism, right to equality and the right to freedom of religion. The Rao government tried to convince the court that the legislation was required to prevent the law and order situation from deteriorating. In its judgment, the Supreme Court struck down part of the Act, refusing to allow the government to vest in itself the right to be the receiver of the land subject to the final outcome of the suits. The central government by virtue of an ordinance or a law can’t deprive the litigants of their right to a judicial remedy. This is precisely what Section 4(3) of the Act tried doing. It abated all the suits, appeals and legal proceedings. The Supreme Court struck down this clause as unconstitutional. The right to judicial redress is part of the basic structure of the Constitution and can’t be curtailed. But then, Modi’s BJP and the RSS won’t allow such trivialities to disturb their intent. And, if the courts intervene, it could mean more votes for the party. The sudden fixation with Ram temple may have to do a lot with the polls in Rajasthan and MP, where the BJP is fighting a tough anti-incumbency battle. The “development” slogan not being very impressive now, coupled with agrarian dissatisfaction in these two states, this is a diversionary tactic. How much the BJP and its affiliate sangh with carry this forward will depend on how much traction they manage to get in these two states. They will lose interest in Ram if this bogey fails to deliver seats in the assembly elections. Maneesh, the above is from your article. If the BJP does this, then all the judiciary should resign all over India saying that a political party “doubts our integrity”, so “we are no longer qualified to be JUDGES”! And then PERMANENTLY forbidding all future governments to construct any religious edifice at the disputed site to underline the judiciary’s impartiality. How about that? What s big thing ? , When Planning Commission, UGC , CBI and RBI etc were butchered, Supreme Court was an indifferent institution. Now table turned, who will support ? In short democracy in in the country is on ventilation and soon the infor on death will visit all citizen . Indian citizen are waiting. Unclear if it will be a trump card.